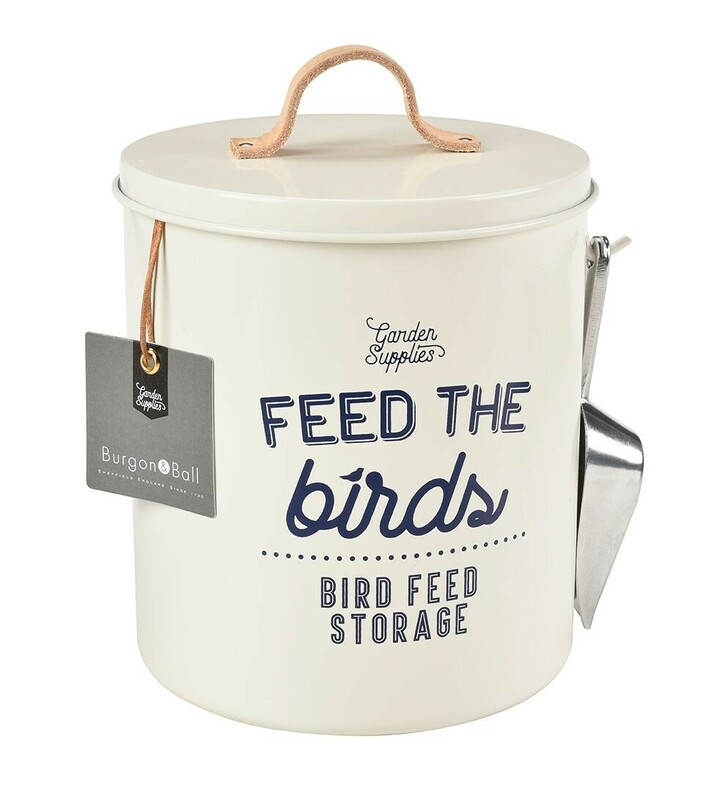 Feed our feathered friends in style with this beautiful bird food tin. This gorgeous storage container will look stylish in any kitchen and is more than handsome enough to leave out on show. The typography and real leather handles creates a very distinctive look. The beauty of this tin lies in its subtle curves. Beautifully moulded in steel, there are no seams, giving a smooth, flawless finish. A tough powder coating ensures it will stay looking good. 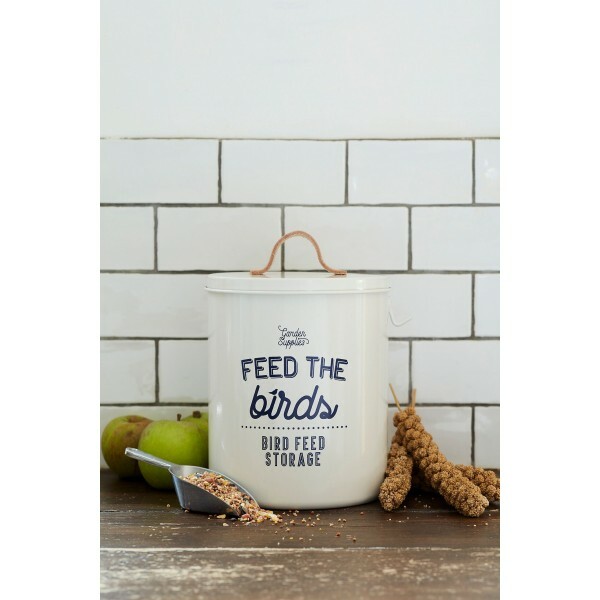 Complete with a handy seed scoop and a hook to hang it on, this bird tin combines sophisticated design with practicality.